HiSearch is the new feature introduced by Huawei in its latest EMUI 9.0 update. It is a built-in search interface for your apps and contacts. This HiSearch will automatically pops-up whenever you swipe downward on your homescreen. Although it is a useful feature, most of the users finds it annoying as it regularly pops-up even if you miss the top of the phone status bar by a millimeter. 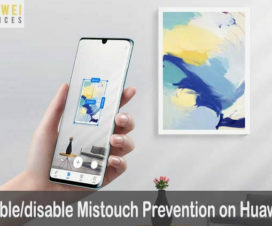 Regarding the same, most of the Huawei Mate 20 and Mate 20 Pro users have been asking for tips to disable HiSearch on their respective devices. 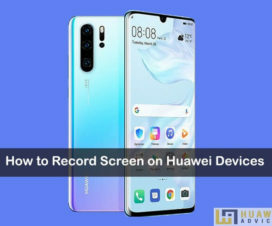 For all those users, here we have shared a quick guide to Disable / Remove HiSearch on any Huawei Mate 20 series smartphone. The main benefit of this procedure is that it doesn’t require root access and neither does it break the warranty. We will simply use the ADB commands to remove the HiSearch from your Huawei device. Without much ado, install ADB drivers and then follow below steps to disable HiSearch on Huawei Mate 20 / Mate 20 Pro. In case, if you want to get back the HiSearch feature on your device, you need to restore to factory settings. 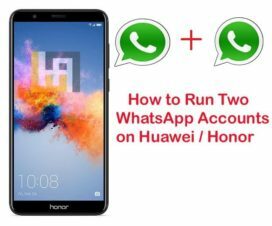 Check our guide on how to factory reset any Huawei phone. 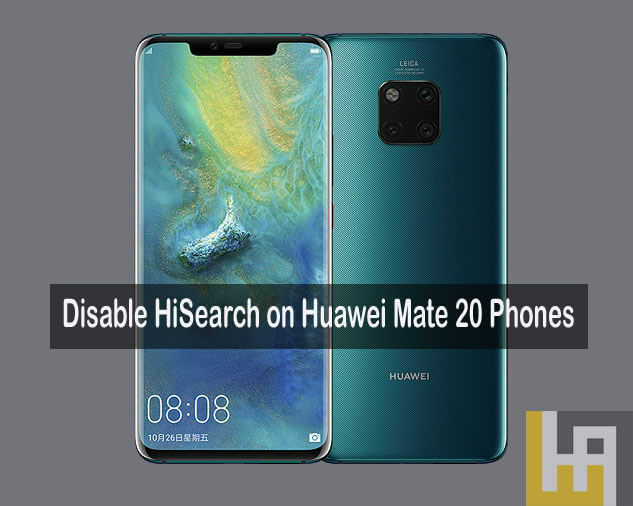 This guide of disabling HiSearch is compatible with all Huawei Mate 20 series smartphones. Don’t try on any other Huawei / Android model. Make sure to install Huawei USB Drivers on your PC. You need to enable USB Debugging on your device. Follow How to enable USB Debugging on Huawei phones. Setup ADB and Fastboot tool on your PC. Make sure to backup data to be on safer side. Disclaimer: HuaweiAdvices is not responsible for bricking or damaging to your device which is very uncertain if you follow the steps accordingly. 1. Firstly, you need to connect your device with PC using a standard USB cable. 2. Launch command window inside the ADB and Fastboot folder. To do so, you need to press Shift + right click inside the ADB folder. Select Open Command window here. 3. Now give the following command to confirm the connection between your device and PC. With the above command, you will see device serial number on Windows screen. If no serial number is being displayed, you need to troubleshoot your USB cable or USB drivers. 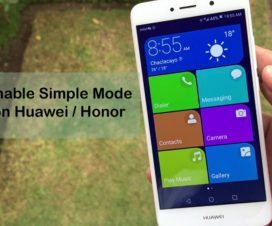 This will list all those application packages that come under main directory of Huawei. 5. Simply, give the below command to uninstall package which consists of Huawei HiSearch. That’s it friends! You’ve successfully removed / disabled HiSearch from your Huawei Mate 20 series smartphones. For more such Huawei / Honor tips & tricks, do visit our EMUI section.